This is a different letter than you are used to. This letter draws me back and requires me to think deeply about your life and all of the components of it. On Tuesday we will make another trip to Madison to the children’s hospital. Why? Because little darling there are a lot of unknowns about you right now. (I am still amazed that you trust us every time we take you to the car knowing what the last few months of car rides with just mom and dad have lead to.) What we thought were precautionary tests that we requested a few months back to check on some bruises has brought me to my most bone shattering days of fear thus far since becoming your mommy. Right now we are trying to determine if you have Leukemia. 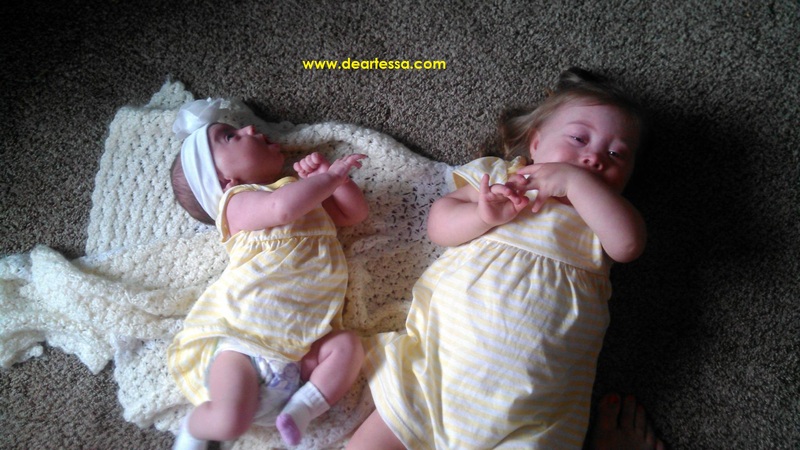 Having Down syndrome means your health can be compromised. It means you may be at a higher risk for health issues like Leukemia. I just never thought any of it could become your reality. You rocked your first bone marrow biopsy a few weeks ago after a routine CBC. The results of the biopsy showed that you do have Leukemia blast cells in a very small percentage of your bone marrow–which is good news. There certainly are not enough to make a diagnosis, and the team of doctors is trying to be sure of what exactly the blast cells are that are in appearing in your marrow. However, each of your results from your CBCs are still well below the normal range. Unfortunately this is news that we are used to by now. Tuesday will be your next bone marrow biopsy. And hopefully your last for a long time. I know it will be a hard day and the tears will flow. It will be a day filled with everything you dislike about hospitals. You will be in great hands though as the hospital staff is wonderful. Your dad and I will wait scared, but patient while the procedure takes place. We will hold you anxiously as the tests are processed. And when the doctor returns to tell us the outcome, we will hang on to her every word. Your case is a complicated one, but I have faith. We were told they were positive they would be making a Leukemia diagnosis after your first biopsy and yet, here we are…at home with you and technically cancer free. So I am keeping that same faith wrapped around my family and taking deep breaths every now and then. People tell me not to think about, and I probably shouldn’t. Unfortunately that has proven to be more difficult than most would realize. When you were first born I remember my fears for your future. While those have altered and dissipated, my latest fears lie in what this next biopsy could mean for the days ahead. For now this is all I think about. In the last month I have gone from feeling like our world would crumble below us to feeling like we can take on the world. I do not know what Tuesday will bring. It will either confirm our fears or keep us at peace. No matter the outcome, I believe in what dad says: “Everything will be fine.” Because I have to believe in order to repair the fractures I have in my heart. Despite all of it, you maintain being your spicy little self. You can say “Grandpa”…well “Bumpa.” This morning you told your dad “no!” And just so you know, you took your first few beautiful steps the other night. You are trying to walk…it is happening! Thank you showing me that when we are scared the road doesn’t end–we just need to take a detour. I’m hoping that you get the answers you are praying for. I can’t even imagine !! Prayer’s for your family for a positive outcome. Becky: I am praying for strength this week for your family. I am holding out hope that things with Tessa end up being ” something else” but I know also how the big “L” word takes up most of the room in your thoughts. I know how lonely you can feel even when there are so many wonderful people who want to be by your side helping some how. I know that sweet, innocent, Down syndrome face that keeps smiling, even when preparing for a new test or procedure. I know that everything feels uncertain and that meeting new friends is not high on a priority list. I will continue to follow your journey. I really am here for questions and/or venting. Please don’t be afraid to call or send a message my way. I will keep the prayers going!